New Directions Publishing Corporation, 9780811216302, 87pp. An Episode in the Life of a Landscape Painter is the story of a moment in the life of the German artist Johan Moritz Rugendas (1802-1858). Greatly admired as a master landscape painter, he was advised by Alexander von Humboldt to travel West from Europe to record the spectacular landscapes of Chile, Argentina, and Mexico. Rugendas did in fact become one of the best of the nineteenth-century European painters to venture into Latin America. However this is not a biography of Rugendas. 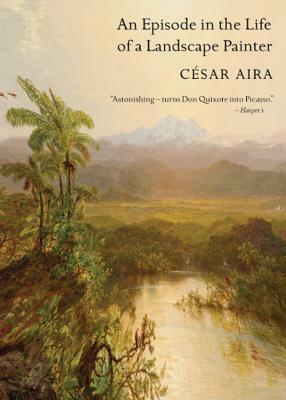 This work of fiction weaves an almost surreal history around the secret objective behind Rugendas' trips to America: to visit Argentina in order to achieve in art the "physiognomic totality" of von Humboldt's scientific vision of the whole. Rugendas is convinced that only in the mysterious vastness of the immense plains will he find true inspiration. A brief and dramatic visit to Mendosa gives him the chance to fulfill his dream. From there he travels straight out onto the pampas, praying for that impossible moment, which would come only at an immense pricean almost monstrously exorbitant price that would ultimately challenge his drawing and force him to create a new way of making art. A strange episode that he could not avoid absorbing savagely into his own body interrupts the trip and irreversibly and explosively marks him for life.